Solar panel costs drop, spurring rise in renewable energy | West Coast Solar, Inc.
A United Nations-backed report has confirmed what many in the renewable energy industry already knew – that the dramatic drop in price of solar energy has helped encourage investment growth in renewable energy. The report, produced by French think-tank REN21, showed that global energy-generating capacity from renewable sources rose by 115 gigawatts in 2012, compared with 105 gigawatts the previous year. Although two thirds of all renewable capacity still comes from hydropower, the amount from solar is steadily increasing. The worldwide capacity of photovoltaic cells was 100 gigawatts in 2012, according to the study. 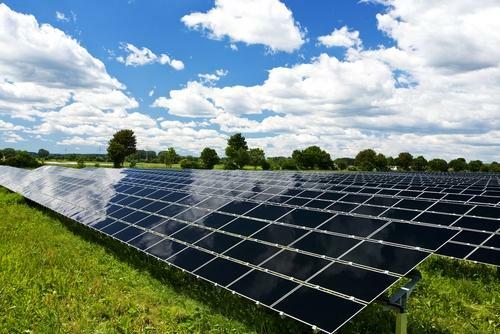 Chinese manufacturers have spurred the decrease in the cost of solar power by 12 percent, effectively boosting the amount of generating capacity investors can get for their money. “This is not only normal in a rapidly growing, high tech industry but is likely to lead to even more competition, with even bigger gains for consumers, the climate and wider sustainability opportunities,” said Achim Steiner, the head of the U.N. Environment Program, in a statement. Due to China’s relationship with the United States and the European Union, it is unclear if the price of solar energy will stay low. In the past year both entities imposed import duties on Chinese-made solar panels, cells and wafers, alleging they were being sold abroad below the manufacturing cost. It is clear that solar power is becoming a growing global industry. For more information about how you can benefit from solar power in your home or business contact West Coast Solar today.